a、Foreign patients can pay in cash (RMB, HKD or USD) when admitting and can settle medical costs during treatment. Financial department in Modern Hospital will exchange HKD and USD for RMB according to bank's rate and deposit it into patient's medical account. If the patient has any question about the rate we offered, he/she can exchange foreign currency for RMB in the bank and then pay for medical expenses. b、Foreign patients can pay by credit card (MasterCard、VISA Card、JCB Card are accepted at present). He/she can pay medical bills by credit card at our cashier. For foreign currency card, such as USD, the bank will exchange foreign currency for RMB automatically according to the rate. c、Foreign patients can pay medical bills at overseas offices of Modern Hospital. The overseas office will remit the money to our exclusive medical account. Our hospital will bear the procedure fee for remittance. d、Foreign patients can pay medical bills by directly remitting the money to the bank account of our hospital. The nurse or interpreter will inform the financial department who will offer him/her relevant information such as bank account. 2.The medical costs paid by patients must go into the exclusive medical account of Modern Hospital for inspection and taxation by the government. The money can not be withdrawn until the patient discharges from hospital. 3.Modern Hospital will provide foreign patients with the list of medical costs daily during hospitalization. If medical fees are insufficient, the hospital will inform the patient immediately. The patient should add money to the account as soon as possible (generally not more than five days) lest the treatment plan should be affected. 4.Foreign patients can remit money to Modern Hospital Guangzhou through our overseas offices for necessary living expenses (RMB) during hospitalization. We will give all the money to the patient. But the remittance amount should be limited to 10,000 RMB per month. Our hospital will bear the procedure fee for remittance. 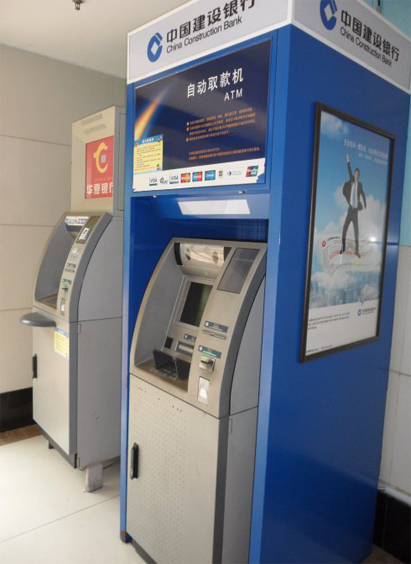 5.Foreign patients can withdraw RMB cash at ATM by credit card such as MasterCard and VISA Card. If any assistance is needed, please apply to the head nurse in advance and the hospital will send relevant workers to help the patient with withdrawals. 6.Foreign patients can go to the bank with ID card or passport for currency exchange. If any assistance is needed, please apply to the head nurse in advance. Hospital workers will try to help you with the exchange. The business hour of the bank for exchange: Monday to Friday, 9 ：00 am to17 ：00 pm. 7.Our financial department will print receipts of every payment for patients. The receipt should be properly kept by the patient as payment voucher for settlement when discharge from hospital. China Construction Bank (office in Guangyuan East Road, Guangzhou): the first floor, No. 1949, Guangyuan East Road (Lianquanlu Stop for Bus 540 ). Guangdong Development Bank (Tianhe Branch in Guangzhou): No.1835, Guangyuan East Road(Jinguicun Stop for Bus 540).